We have sold wood burning fireplaces and gas fireplaces to customers from Wilton, Weston, Norwalk, Easton, New Canaan, Darien, Monroe, Danbury, North Salem NY, and many other towns throughout Fairfield, Westchester, and Litchfield County. A fireplace can make the difference between a house and a home. It’s welcoming facade and the inviting ambiance of dancing flames can draw families together or set the mood for a romantic night in. 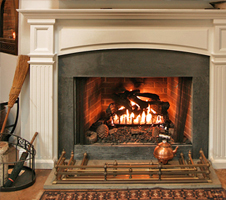 Innovations in technology have improved the heat output of today’s fireplaces. You can save money on your heating bills as you relax in front of the fire. It is no wonder that this amenity can increase the market value of your home and is a ‘must have’ for so many homeowners. At Yankee Doodle, Inc. Stove & Fireplace Center, we carry a good selection of zero clearance, wood and gas fireplaces from leading brands so that you can enjoy the warmth of a fireplace in any room of your home. Whether you are interested in installing one in a living room, bedroom or bathroom, we have a model that is right for you with the features on your wish list in a style that will compliment your home décor. 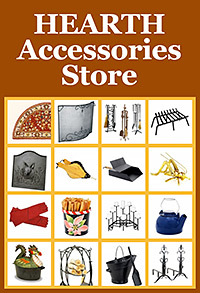 We carry fireplaces from Avalon, Lopi, Jotul, Fireplace Extrordinair, Enerzone, Scan and European Home. Stop by our showroom in Wilton, CT in Fairfield County right off scenic Route 7 to see our beautiful selection in person! If you still need assistance selecting the right fireplace, our hearth experts will gladly visit your home to offer suggestions and advice. The aromatic scent and calming sound of smoldering logs is one of the greatest attractions of a wood burning fireplace. Along with the creature-comforts of a crackling wood fire, you can feel good about using a carbon neutral, renewable resource to keep you warm during the long winter months. We offer EPA approved fireplaces with low emissions and increased energy efficiency so that you can heat more square feet of your home with a clear conscious. Some of our models are as effective as a furnace! Whether building a new home or remodeling, we have a wood fireplace for you with a selection that ranges from modern to rustic. 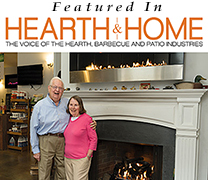 Find out more about our wood fireplaces or come out to see for yourself. Our gas fireplaces offer the same great efficiency as our wood burning models with added convenience and unique features. 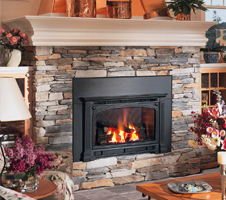 With a gas fireplace you can spark a fire in your hearth with the flip of a switch or press of a button. 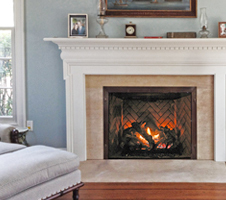 Without the need for a chimney, a gas fireplace can be installed in nearly any room in your home. Lighting accents, adjustable flame height, and thermostat control are just a few of the features that are available for gas fireplaces. The features, which range from model to model, are only outnumbered by the variety of styles available. Browse our selection to find one that is right for you or learn more. If you are concerned about a laborious installation or want to install a fireplace in a tight spot, a prefabricated zero clearance fireplace is the choice for you. Zero clearance fireplaces are uniquely designed to be installed against a framed wall. They are available in wood and gas models. 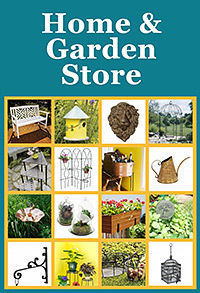 We offer a broad selection of attractive traditional and modern styles. Read more about zero clearance fireplaces or contact one of our professional team members discuss the benefits of choosing one of these easy to install appliances.